In honor of the year-long celebration of the Fine Arts Center’s 40th Anniversary, the Sheffield Wood Gallery will hold a four-part exhibition series that will showcase the four main pillars within the Fine Arts Center Visual Arts Community: Faculty, Alumni, Community, and Students. The series entitled Ties that Bind: FACS began September 5, 2014 and will run throughout the school year through May 27, 2015. The first installation, Ties that Bind: Faculty, honors both former and current Visual Arts faculty who have contributed to the success of the students who have attended the Fine Arts Center over the past forty years. Combined, these teachers have contributed over 150 years to the Fine Arts Center, making it one of the top high school visual arts programs in the country. Ties that Bind: Faculty is currently on display, running from September 5 through October 31, 2014. The Ties that Bind: Faculty Reception will be on Thursday, October 9 from 5:30-6:30 p.m. The second part of the Ties that Bind: FACS series will be an exciting exhibition that will showcase artwork by successful and celebrated alumni who are continuing to create artwork today. 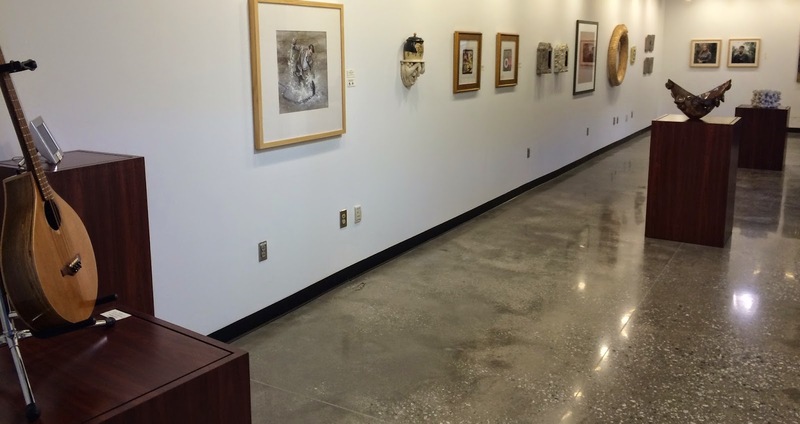 By displaying these works side-by-side, visitors to the Sheffield Wood Gallery can see the dynamic contribution the Fine Arts Center has made to the arts community throughout the years and world-wide. Ties that Bind: Alumni will be on display from November 10, 2014 through January 23, 2015. The Reception will be Thursday, December 18, 2014 from 6:00-7:00 p.m.
Ties that Bind: Community will not only provide the Sheffield Wood Gallery and Fine Arts Center the opportunity to honor and thank the local artists who support the programs at the FAC, but it will also allow students and visitors to learn more about their own local arts community. Students are often strongly influenced by the art that they see and interact with on a daily basis, and the Upstate area has a flourishing arts community in which students have the opportunity to be involved. 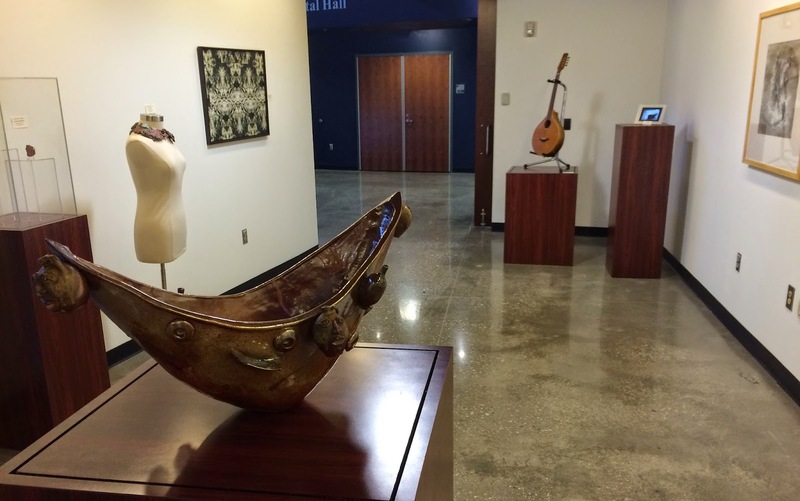 Ties that Bind: Community will be on display from February 2 through March 27, 2015 with a reception on Thursday, March 26, 2015 from 6:00-7:00 p.m. The final exhibition for the academic year, Ties that Bind: Students, will allow the students in the Visual Arts Program here at the Fine Arts Center to display their own work, demonstrating how successful these four pillars in arts education are. The work that will be in this show will come from students who will go on to attend some of the best schools in the country and earn thousands of dollars in scholarships to do so. Ties that Bind: Students will run from April 13 through May 14, 2015 with a Reception on April 23 from 6:00-7:00 p.m. Reception: October 9, 2014, 5:30-6:30 p.m. Reception: December 18, 2014, 6:00-7:00 p.m. Reception: March 26, 2015, 6:00-7:00 p.m. 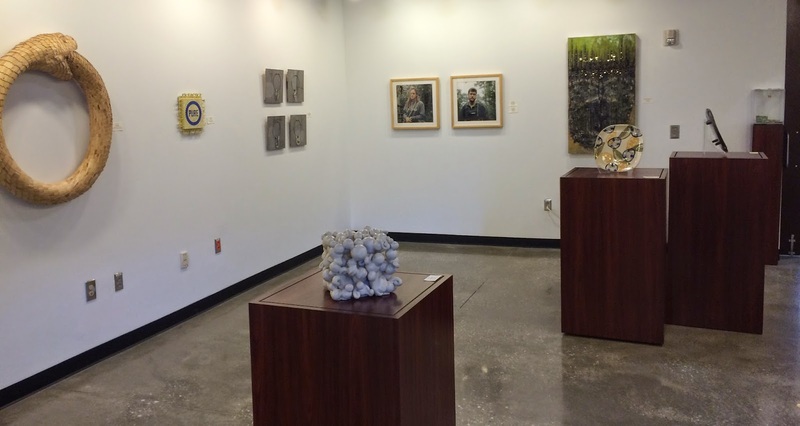 Reception: April 23, 2015, 6:00-7:00 p.m.
*The Sheffield Wood Gallery is open weekdays from 8:30 a.m.-5:00 p.m. If you have questions about Ties that Bind: FACS or the Fine Arts Center’s Permanent Collection, please contact Gallery Coordinator Rebecca Owens at rdowens@greenville.k12.sc.us or leave a message with the front office at 864-355-2550.